“Wow Drew! You have grown 5 reading levels this year in fourth grade. We want to make sure you continue to grow over the summer, so what do you plan on reading during the break?” Blank. Stare. It’s not that this boy doesn’t enjoy reading and isn’t willing to do so over the summer, but he hasn’t even thought of what he may want to read. I know my kids have grown tremendously in their reading abilities this school year, and I don’t want all of their hard work to recess over the summer break, so what should we do? I know parents still have to go to work, and they often do not have the ability to sit down and read with their son or daughter, or they just don’t know what novels to feed them. Too bad we don’t just have school year round… Just Kidding! My Solution to the whole issue is to offer a summer reading program. You may ask, “Do you expect to meet with your kids at Starbucks over a yummy frappuccino?” No, I don’t. I am going to “meet” with my students using Kidblog.org. I will post a reflection and question each week about the current chapters our book club is reading, and the students will respond. They may also comment on each others comments, and I am excited to see what kind of dialogue is sparked with out being in the same room. Reading creates special relationships between students and teachers! I have decided to read one book per month. As a book club we will read Double Dog Dare by Lisa Graff, Maniac Magee by Jerry Spinelli, and The Bread Winner by Arvella Whitmore. I chose each book for a specific reason and the book levels will allow students to grow as readers over the summer. Double Dog Dare is a South Carolina Book Award nominee, and my fantastic librarian encourages students to read the award books and vote for their favorite. Reading this title will get the students ahead on the books they need to read. Maniac Magee is a classic novel by an author that specializes in upper elementary/ middle school connections. The Bread Winner is a historical fiction novel that takes places during the Great Depression (a time period 5th graders study). I am sure that reading these three novels will spark many questions and thoughts in my young pupil’s minds. The only way this program is possible is through technology, and my kids are masters in the matter of technology. They have used Kidblog for the past few weeks, and are looking forward to utilizing this tool over our break. The “classroom of tomorrow” that has been created this year will literally allow me to continue to teach even when “tomorrow” dips into summer vacation! 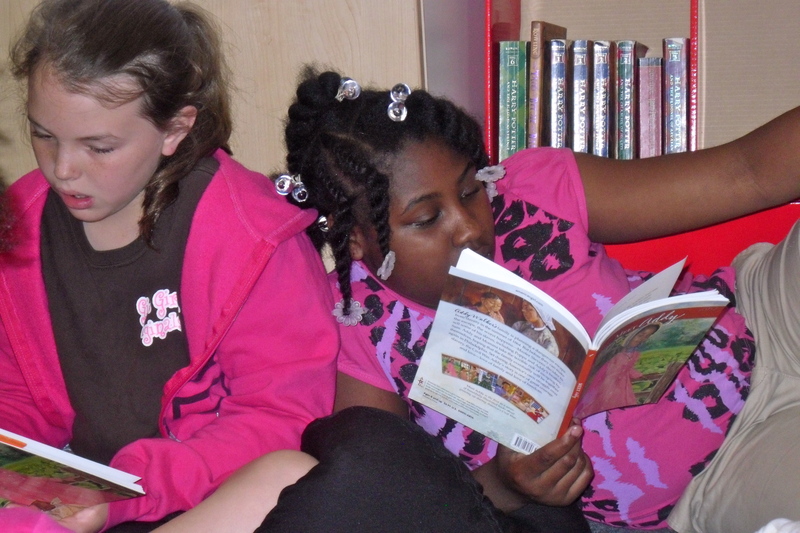 Do you or your student want to join in on our summer reading program? Email me at billieblalock@gmail.com, and I will get you set up in Kidblog for the summer!